If you have a great idea, a good way to get ahead is with a private micro business consultation. Really. The bell shaped curve affects all trends. The 15.75% of businesses and investors that really get ahead are the early adapters. They gain the largest rewards. 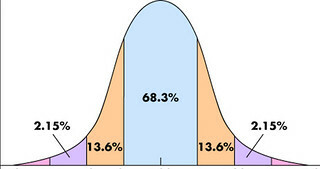 Bell shape curve… 15.75% get in ahead of the trend. Amazon.com will change. The firm has incredible income but small profit. Amazon.com is the 1,000 pound gorilla when it comes to selling books. For how long? Just when everyone thinks they have the system figured out… a new disruption comes along. Ask the guys at Borders or Barnes & Noble! Wait… that’s right. I forgot. Borders is gone. Barnes & Noble’s revenues decreased 8 percent in 2013 so it could also be on its way out. An article at MIT Technology Review titled “Why the Father of the Consumer Internet Invests in E-Commerce” shows one way that internet publishing and e-commerce are evolving. The article says: Steve Case brought the Internet to Main Street. Now he wants everyone to open an online store. Case is no buzzword-dropping futurist. He’s practical, with a sharp eye for Main Street’s needs and, he says, “big ideas that are still small companies.” Its largest investment, $40 million, went to BigCommerce, a company that brings “Amazon-like capabilities” to any merchant. The pool of potential customers is huge: 95 percent of retail establishments in the U.S. consist of a single store. This is the new trend rising… small companies with Amazon.com like capabilities. Early adapters have a chance to get ahead of this trend by mastering the 7Ps. Our personal consultations walk you through how to profit from a micro business, using the 7Ps. The 7Ps are Passion – Problem – Person – Product – Prospecting Path – Promise – Presentation and go beyond change. Whatever disruption new technology brings, the 7Ps create opportunity because they identify, reach, engage, focus and solidify customers at a profit. Learn how to earn extra income by combining the 7Ps in a micro business that is supported by self publishing and writing to sell. Merri and I have been using the 7Ps for over 45+ years. Since May 1968 we have been paid to travel and live exactly where we have wanted to be… because we have known how to write to sell and monetize the publishing success with events, seminars, courses and tours. The combination of self publishing working hand in hand with an events business has allowed us to visit and to live anywhere in the world we have desired. 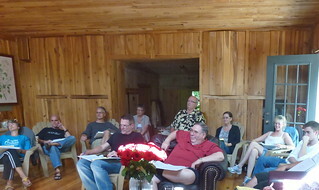 Many of our course delegates are using the 7Ps to enjoy great profits and lifestyle as well. 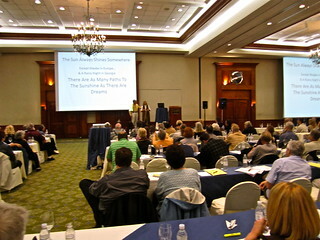 This reader is using an events based micro business to generate income that pays for foreign travel. A personal consultation allows you to personalize your micro business so you can start small and gradually build a larger business (if that is your desire) as we have done. There are many fringe benefits to a personal micro business. In our case, almost all of our global travel has been tax deductible for decades. The pay has certainly not been bad either. We have earned millions so our micro business has provided us financial independence. We have created a special program so readers can have a personal consultation so they can personalize their micro business and get started quickly. Over the years, Merri and I have done business in… (alphabetical order) Australia, Austria, Bahamas, Belgium, Belize, Canada, Czech Republic, Dominican Republic, England, Ecuador, Finland, Germany, Hong Kong, Hungary (before the Iron Curtain came down), Indonesia, Isle of Man, Jamaica, Malaysia, Mexico, Netherlands, Nevis, Panama, Philippines, Puerto Rico, Scotland, Singapore, Spain, Switzerland, Taiwan, Thailand and at one time or another most of the United States and even more. There is a possibility that Merri and I know more about having a small, at home internet driven micro business conducting events than 99.9% of the people in the world. We focus what we know on your idea for having you own business. Self publishing and micro businesses go hand in hand. Writing to sell can build your business and often you product can be self published books, reports and courses. We help you create your own proprietary step-by-step plan for getting your business going… full or part-time… right away. The consultation includes the following steps for creating the perfect product, including how to review ideas, test focus, and aim at markets. * How to format a product or service so it suits you and your audience. We’ll be doing all we can to help you create a rich and fulfilled lifestyle that stretches well beyond your dreams with a micro business. Your business consultation begins with an emailed brief description of business idea and/or information required to assure that a consultation will be of help. There is no charge for this review…if the email is brief. If we do not feel we can assist, we’ll refund your reservation immediately. The consultation starts with emailed questions before your visit. The consultation itself is normally 1.5 hours by phone or in person. The fee is $550. Consultations do not cover investment, legal or tax aspects of business. To proceed, please click here. See how to reserve one of our cabins or cottages of you wish to stay at the farm.